It is a common misconception that only sizeable estates require post-mortem planning. Regardless of the size of your estate, careful and savvy estate planning is necessary to ensure that your wishes are carried out with as few probate issues and tax consequences as possible. If you pass away without a valid, legally enforceable will, the state will distribute your property according to the laws of intestacy, which often do not reflect your true wishes and cost your heirs money and time probating your estate. Also, it is important to have a recent, up-to-date will, which reflects the changes in your life circumstances, new beneficiaries you may want to include, new property acquisitions, and other important changes. A Last Will and Testament is a common estate planning tool that can effectively direct the distribution of your assets after death. The estate planning lawyers at Bellotti Law Group, P.C. work closely with you to create detailed, tax-conscious estate planning documents. Your will is a crucial piece of a necessary estate plan. Our attorneys know that your will must be individually tailored to best carry out your directives and safeguard against your heirs facing the maddening and costly probate system. We will design an estate plan to help you minimize or avoid estate taxes, by examining and explaining each and every strategy available to reach your short and long-term goals. Call the estate planning attorneys at Bellotti Law Group, P.C. today at 617-225-2100 for a free telephone consultation to discuss your estate planning options and available packages. A will can be as detailed as you require, bequeathing all of your assets to one individual, splitting in equal shares between many people (i.e., children and grandchildren) or making specific gifts to specific people. Additionally, a will can name a guardian for children in the event of a parent's death. Often, married couples will request "mirror wills," which essentially transfers all of a husband or wife's property to the surviving spouse, then to other named beneficiaries (many times, the couple's children). Our estate planning attorneys have drafted many wills for married couples, single individuals, those with and without children, and have tailored wills to reflect many distinct wishes of the testator. The estate planning attorneys at Bellotti Law Group, P.C. meet carefully with their clients to understand what they want to accomplish and tailor an estate plan to effectively meet individual needs. Attentive service is given to every client and real, cost-effective solutions are developed to accomplish your goals. The estate planning attorneys at Bellotti Law Group, P.C. take the time to develop, draft, and notarize all of you estate planning documents. Don't face the complex estate process alone. Instead, trust the estate planning professionals at Bellotti Law to create wills, trusts, and other estate planning directives that are legally effective, tax conscious, and accomplish your goals. Creating effective and enforceable wills, trusts, and other estate plans can be time-consuming, costly, and riddled with legal requirements. The estate planning attorneys at Bellotti Law Group, P.C. 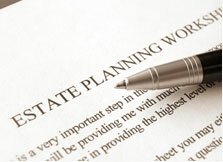 understand that you need to achieve your estate planning goals in the most efficient, cost-effective manner possible. After an initial consultation to determine your needs and options, we will tailor an individual estate plan, explain in detail each and every clause, and carry-out the logistical requirements to creating a valid will, right at our office, including having the document notarized by our own in-house notary, saving you additional time and money in the process. The attorneys at Bellotti Law Group, P.C. are the most complete, thorough, cost-effective, and savvy solution for all your estate planning needs. Pursuant to the General Laws of Massachusetts, Chapters 191 and 192, any person eighteen years of age or older, of "sound mind," and under no duress, can execute a valid will. A Will must be in writing, signed by the testator and witnessed by at least two people. Each witness must sign the Will in the testator's presence. Finally, the will must be signed by all parties, including the Testator and required witnesses, in front of a licensed notary, who must also sign and provide a seal on the document before it has legal effect. The estate planning lawyers at Bellotti Law Group, P.C. will draft a will that meets these legal requirements and reaches your goals with the fewest tax and probate issues. The estate planning lawyers at Bellotti Law Group, P.C. serve Greater Boston, Cambridge, Quincy, Braintree, the South Shore, and all of Massachusetts. Our offices are located in Boston, Cambridge and Quincy. Call us today to discuss tailoring a will and other estate planning documents to keep your assets secure for generations to come. Contact us today at 617-225-2100. You can also contact us through our online form and we will promptly respond.